I arrived at the carpark at Spittal of Glenmuick. It was completely stowed out, unlike the Linn of Dee carpark the previous day. I managed to squash the Bongo in a space at the overflow carpark at the back. I always get van envy at this carpark! It was a fairly warm day so I made several clothes changes before I set off. 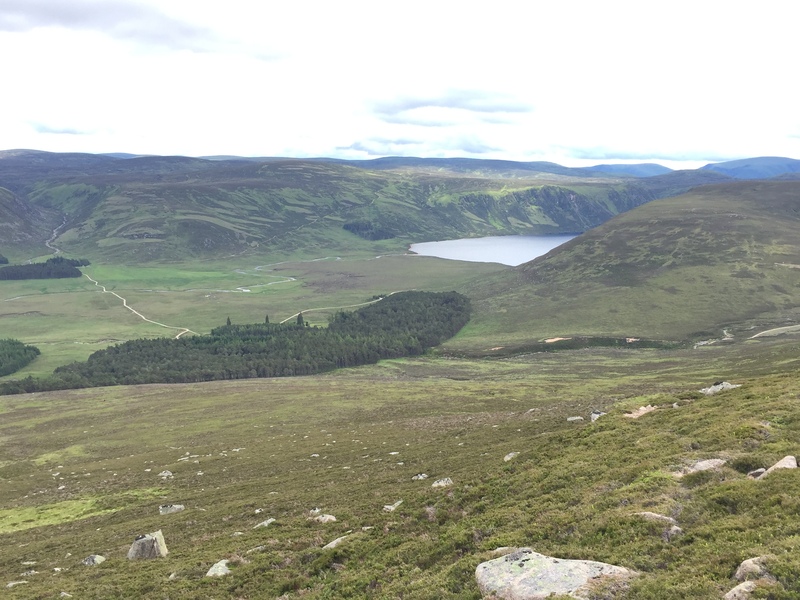 Initially the path heads towards Loch Muick, then splits off for Lochnagar shortly after. 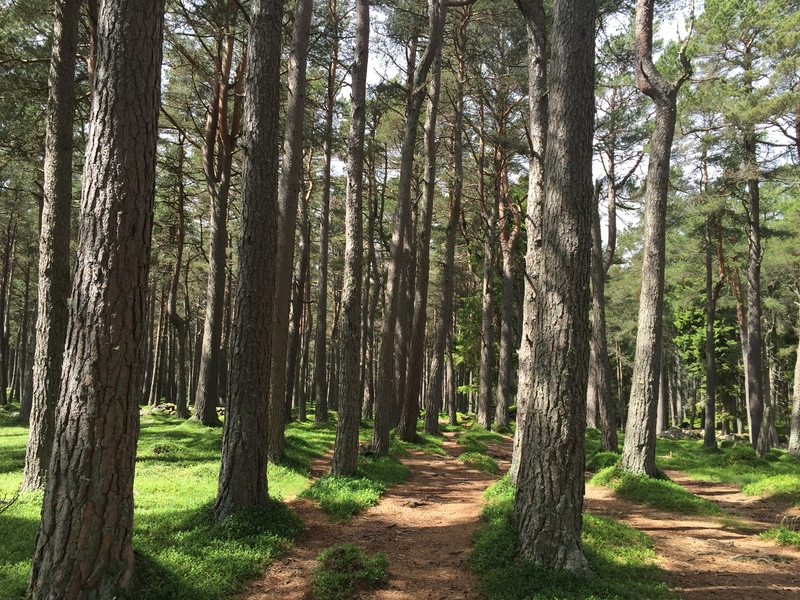 The path through the trees was as lovely as ever. 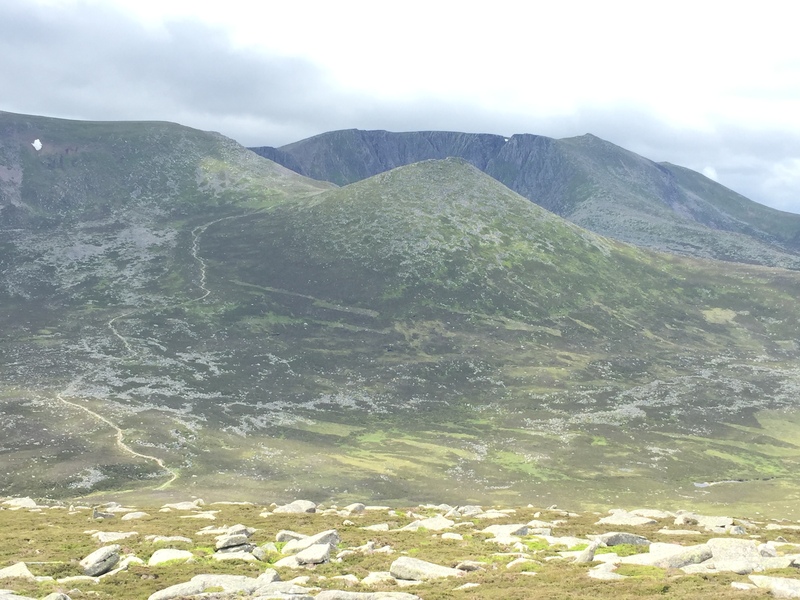 I made good time climbing up the easy track to Lochnagar. 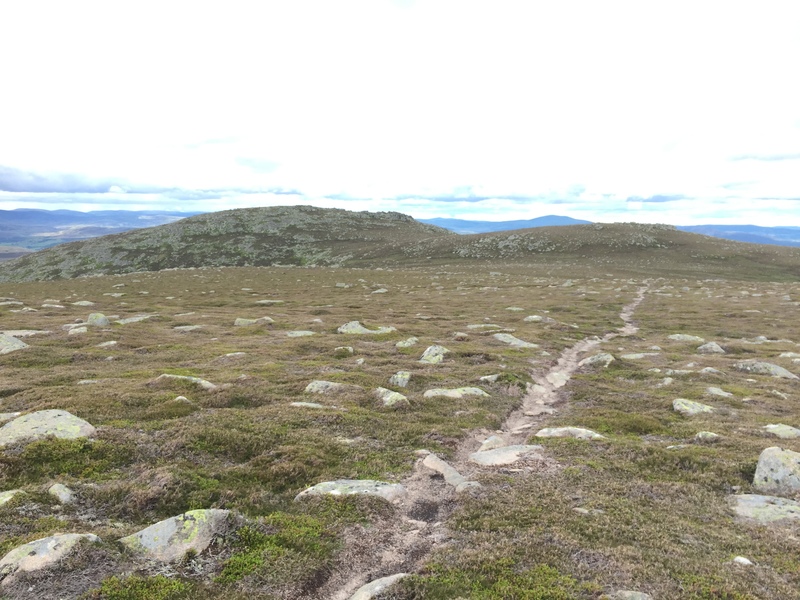 Almost opposite the cairn to signal where the turn-off is for Lochnagar, there is a faint track that heads up Conachcraig. 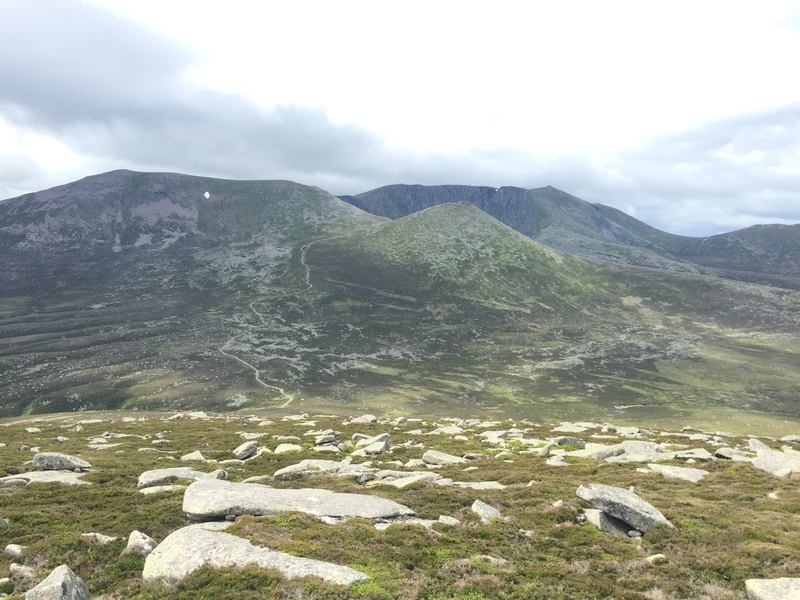 I have seen it coming down from Lochnagar before so knew it was there – however missed it from the track and walked on for a while looking for it, before eventually realising I’d gone too far. 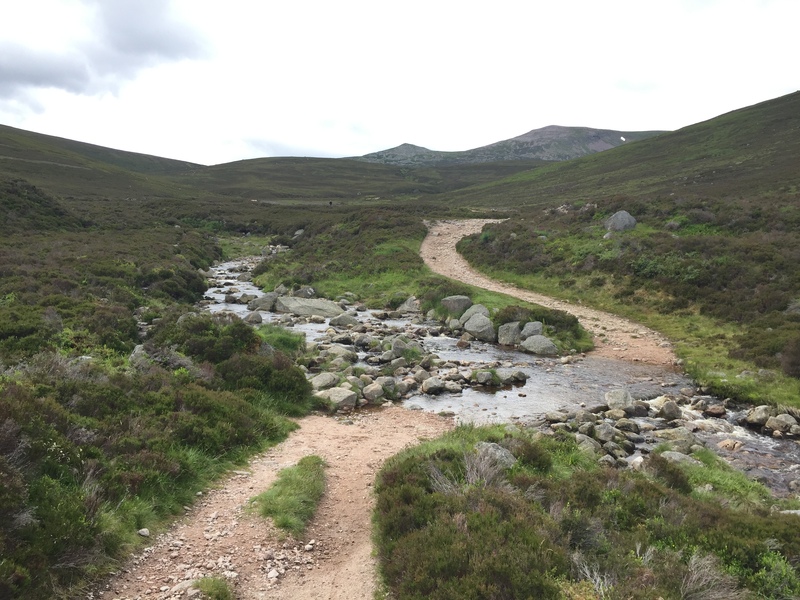 The path was good and I made good time climbing before I reached the first few rocky tors. 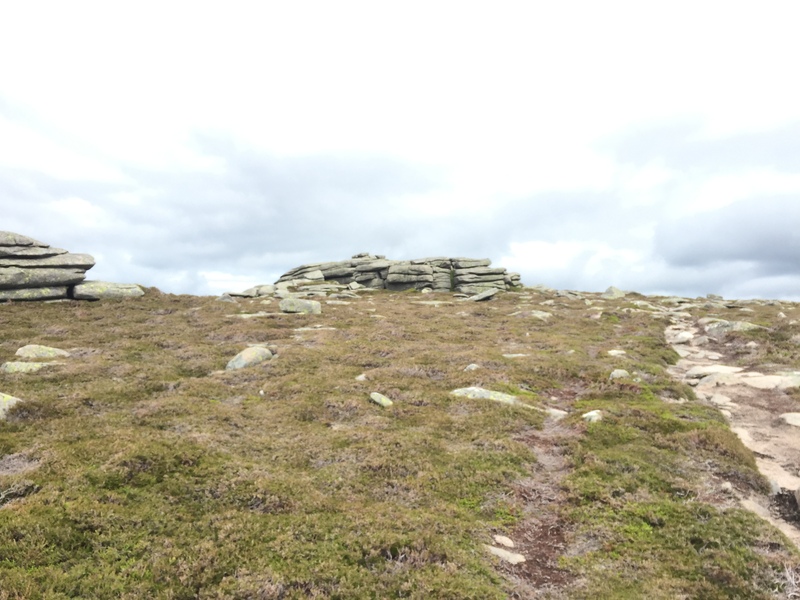 This was a surprise – I did not expect such interesting features on this hill. 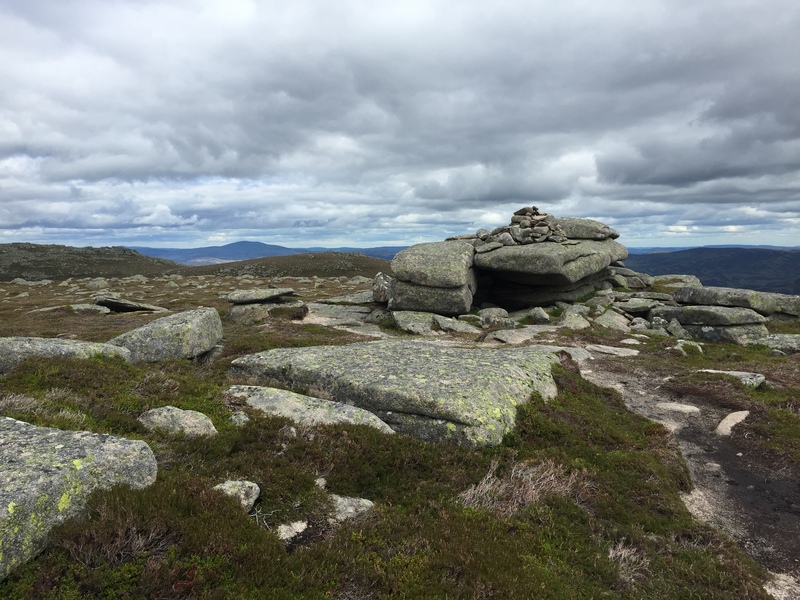 I turned round to look at the view of Lochnagar’s wondrous corrie and noticed several groups of people sheltering underneath the tors out of the wind. I was glad I hadn’t been singing to myself! 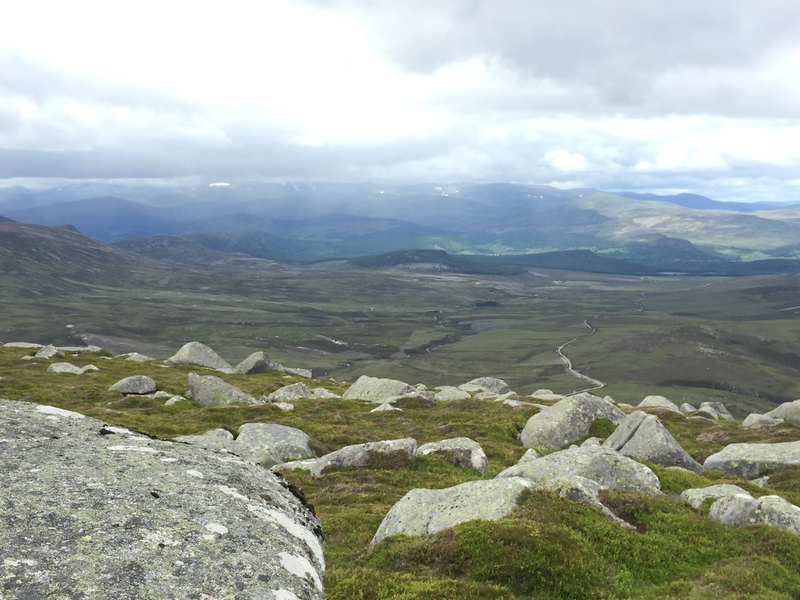 There were great views of Lochnagar and Meikle Pap. 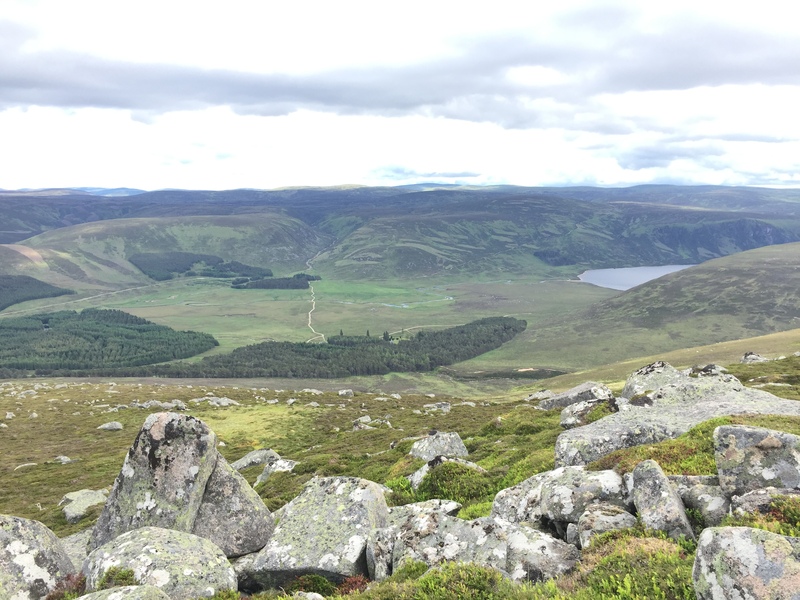 I walked along the plateau to the actual summit called Conachcraig. 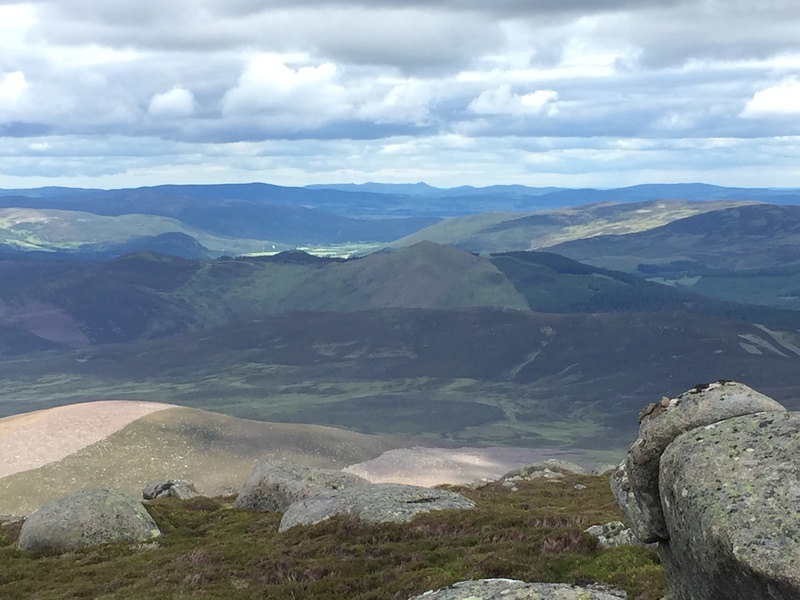 This is not the highest top on these hills – that is Caisteal na Cailleach further along to the NW so I’m not sure why the Corbett is referred to as Conachcraig. 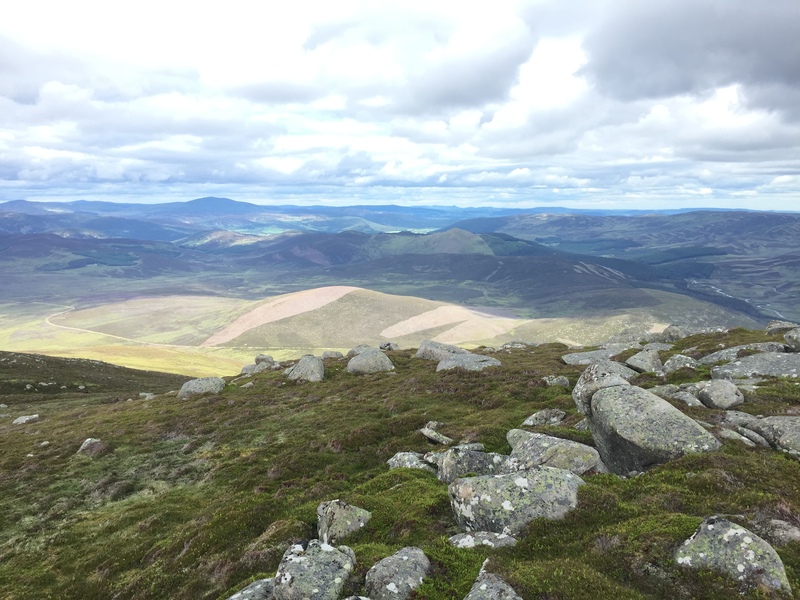 The summit of Conachcraig was another rocky little top with good views to the north-east patchwork of Aberdeenshire, the most easterly Munro of Mount Keen and ever-present Bennachie on the horizon. 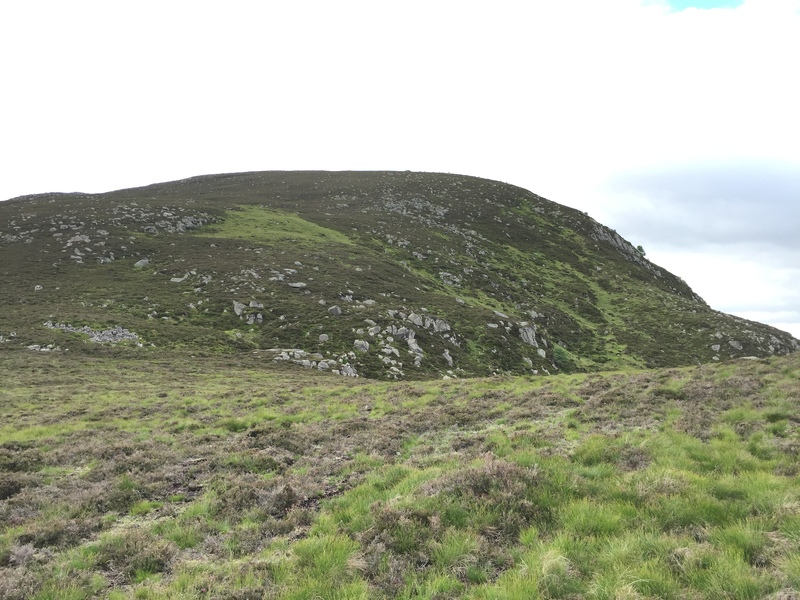 In fact the whole hill reminded me of a larger version of Bennachie, Aberdeenshire’s favourite wee hill, with its array of little tops with rocky tors and paths along the plateaus between. 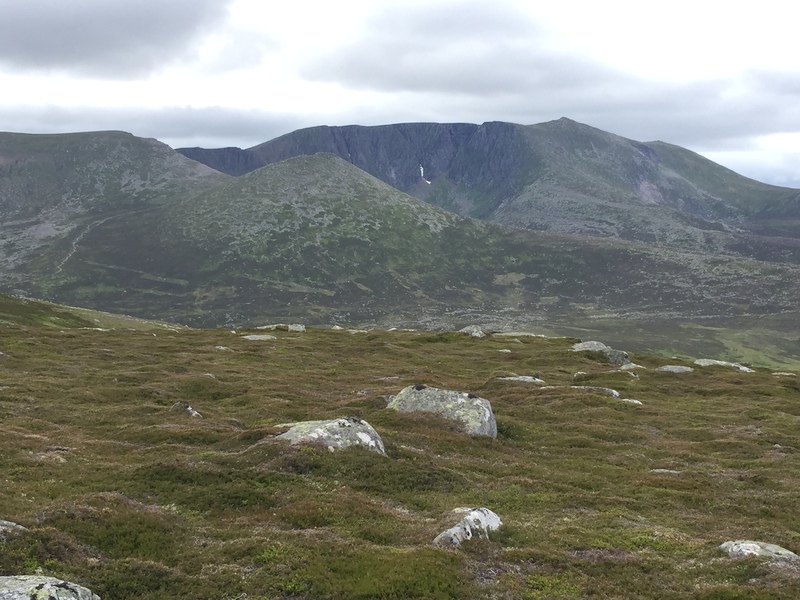 I then walked along to Caisteal na Cailleach and had an even better view of Lochnagar. My photos all unwittingly have my finger partially smudging the view so this is the only one without. 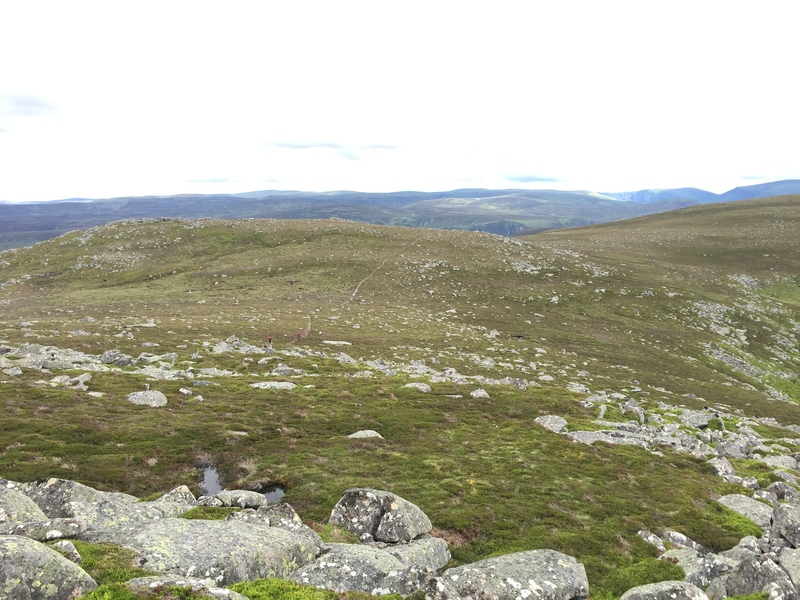 I walked back to Conachcraig summit again and then turned east to follow the tops down towards Carn am Daimh. Initially there was a faint path but this faded out. 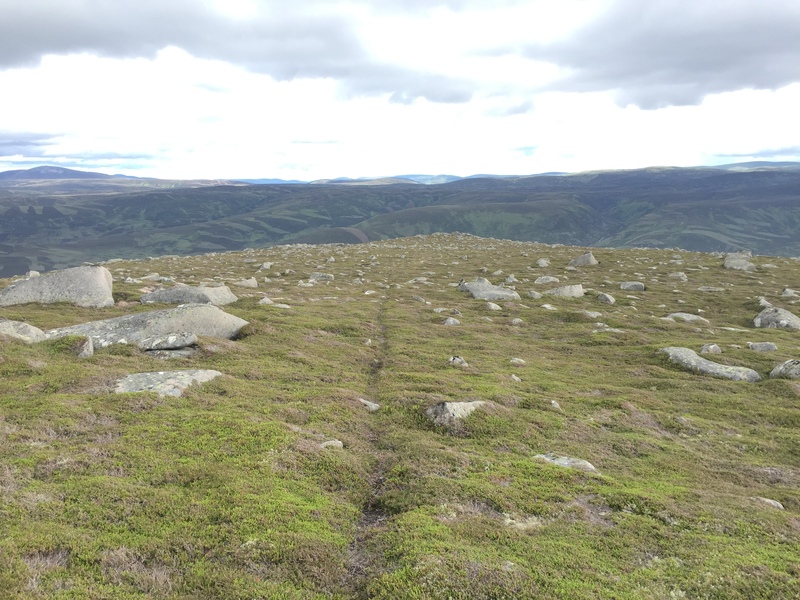 On a steep section I followed a series of deer tracks but they always seemed to veer off in the wrong direction. It was obviously a little-visited approach. 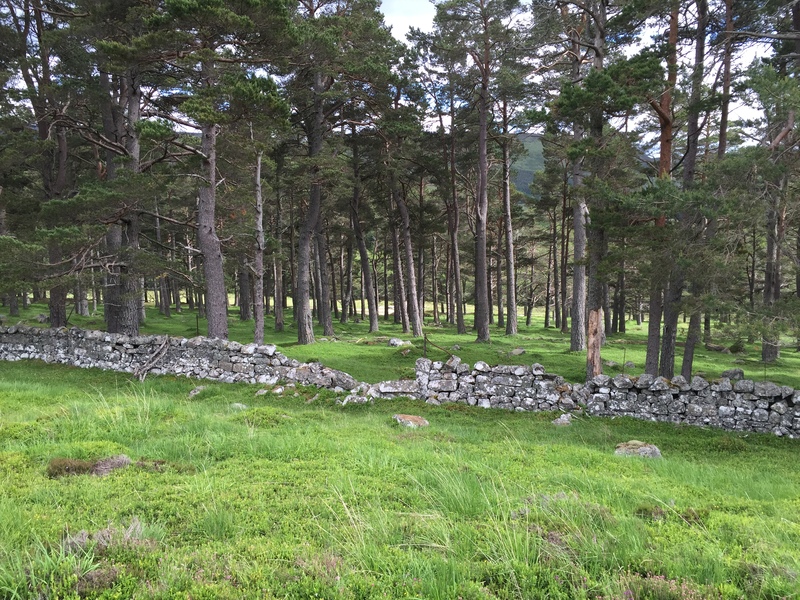 I was glad I came this way though – it really showed the character of the hill which seems to be fairly well hidden, especially in the shadow of its more glamourous celebrity neighbour. 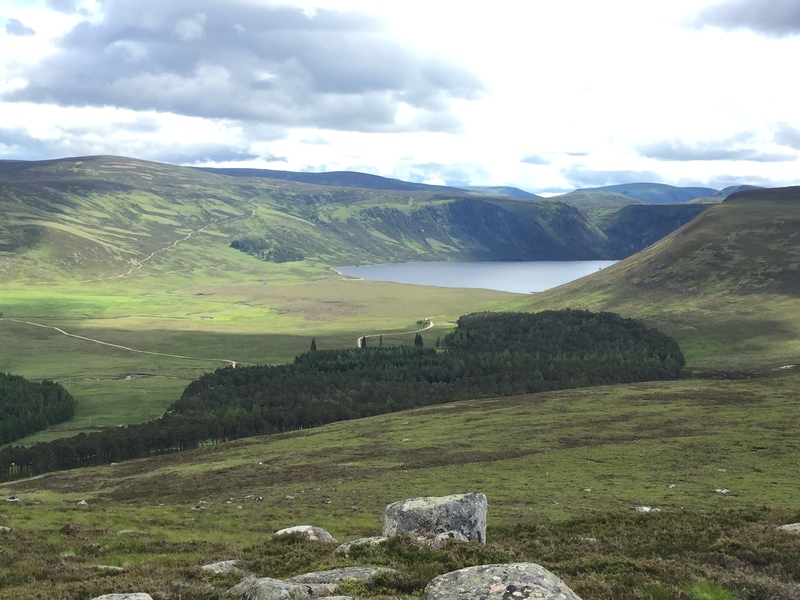 I got a cracking view of Loch Muick and the glen. 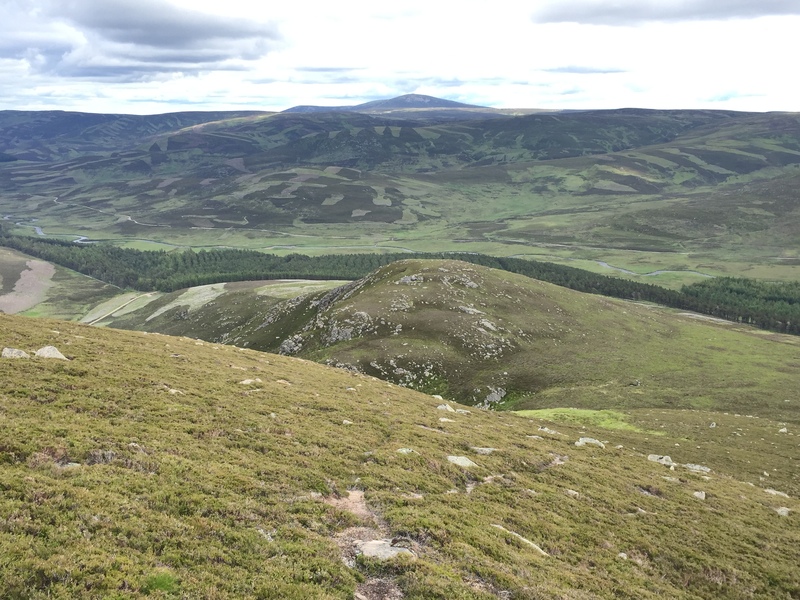 A final steep heather bash and I reached the tree line and the track beyond where I met the outgoing track and yomped back to the van. Conachcraig from the Glen Muick road. Not the heathery lump it assumes to be. 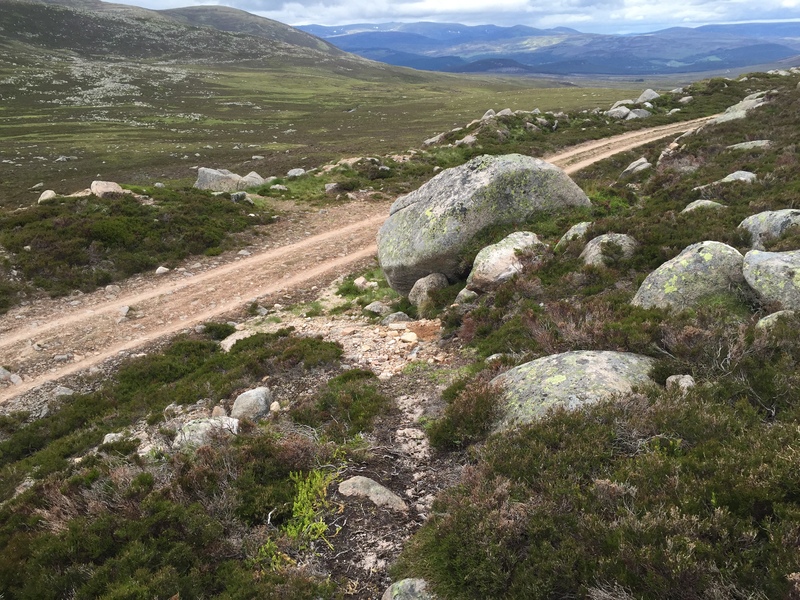 It’s funny – I was surprised what an enjoyable hill it was. I had been putting off this one for a duller day but it was really lovely and one I would do again, no bother! 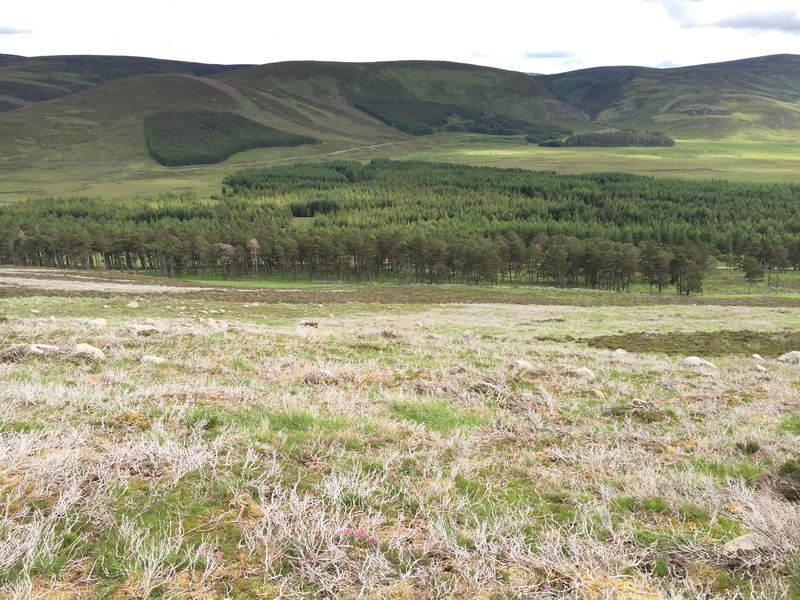 I love it round Braemar too. 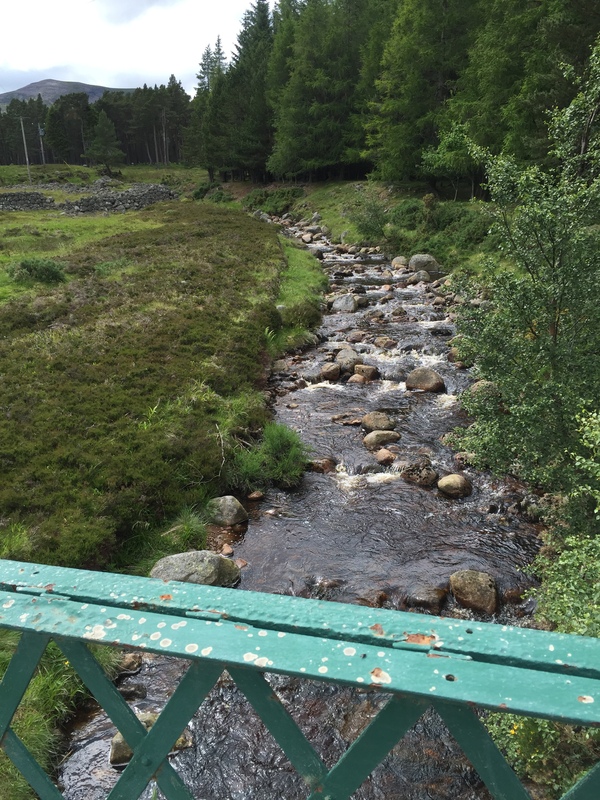 Although I never find Braemar itself to be the most friendly and welcoming for some reason – Ballater is a much friendlier place! 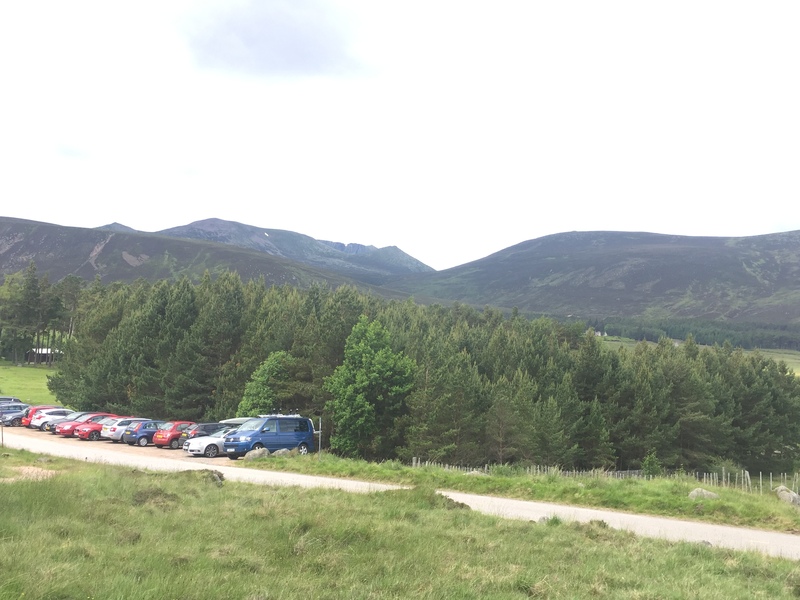 Ballater is nice – I don’t know anywhere to stay there though. 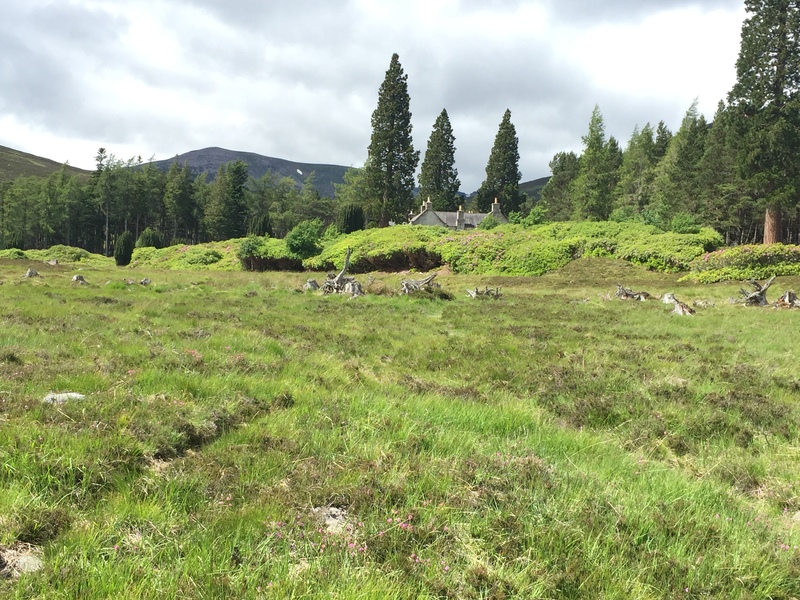 We always get a log cabin at the Braemar Hotel and they’re very friendly there – no public bar though so you won’t have met them. I think they might be Irish actually! 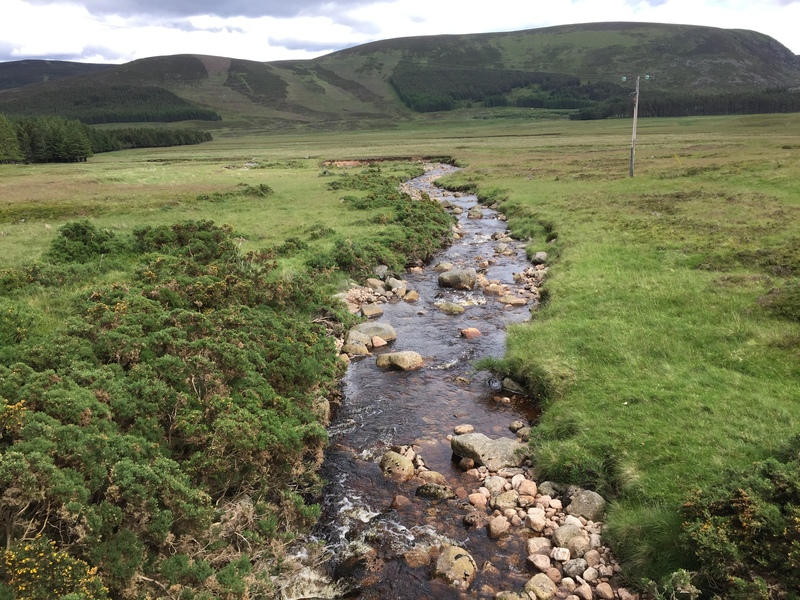 I’m maybe doing poor Braemar a disservice. 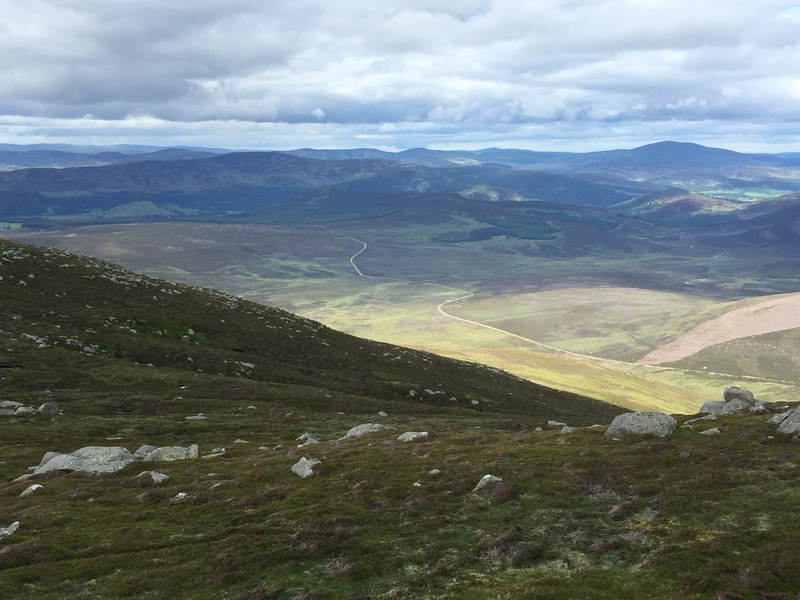 It’s not that unfriendly, I just find Ballater a better and friendlier place. 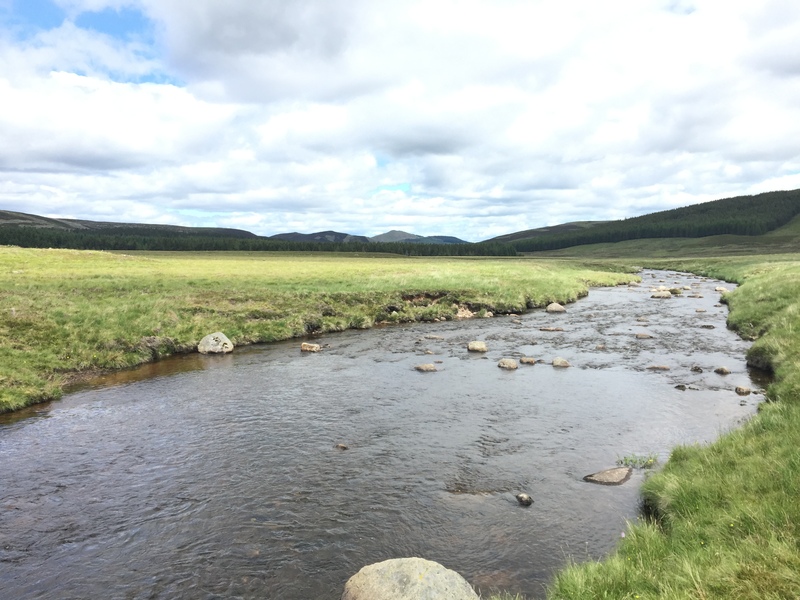 In fact the only example of poor service I can even think of in Braemar was in a cafe I went in for breakfast once and they were only serving bacon rolls. I asked if I could get a fried egg roll instead as I don’t eat bacon but they refused because ‘it wasn’t on the menu’. I mean how hard could it be? Having said that the outdoor shop is brilliant – the staff have loads of advice on the local area and are just lovely, and the new adjoining cafe is nice too. 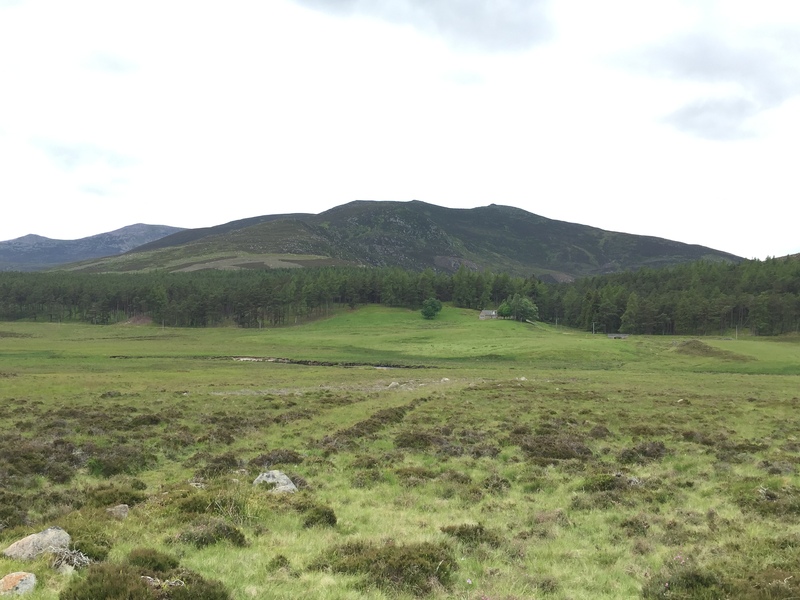 I’ve stayed in a great bunkhouse in Ballater before – Habitat I think it is called. The campsite was good when I used to visit a lot about 12 years ago, and once when it was flooded I stayed at a great B&B called the Schoolhouse opposite. that annoys me quite often too – I don’t eat meat and I love egg rolls but many places don’t seem to do them. I agree it isn’t hard! Lovely. 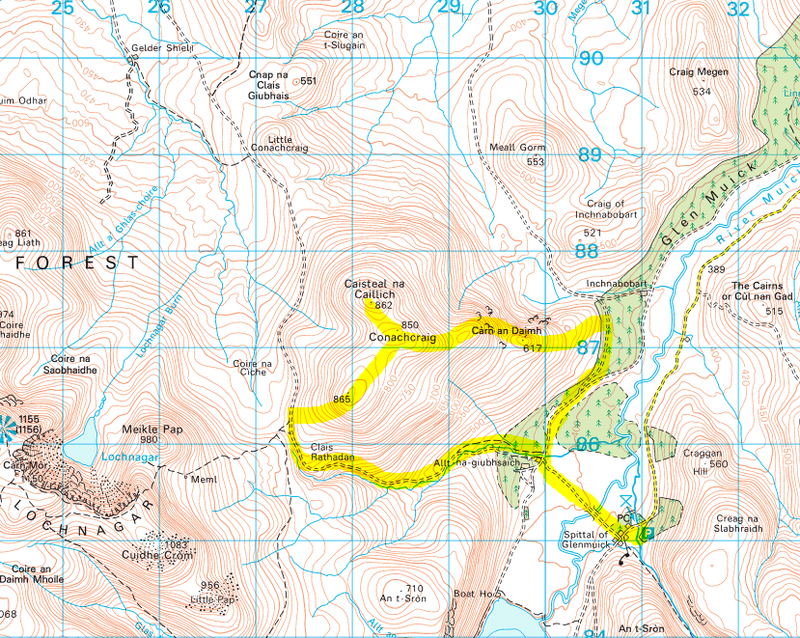 We very nearly did this walk when we were up around there back in January. Wish we had now! Oh me too. 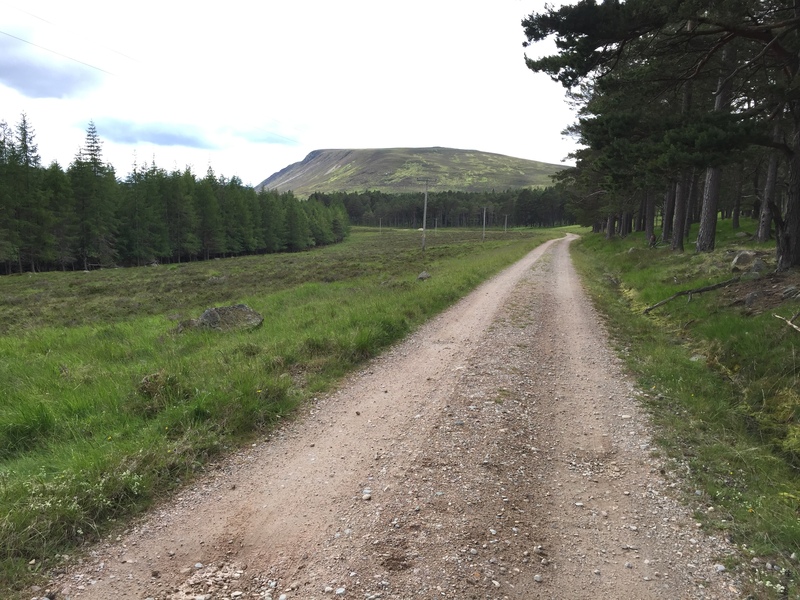 The worst one was when I was out cycling down some lonely country lanes, belting out the chorus to the Heart’s 80s power ballad ‘Alone’ ….when I was quietly overtaken by another cyclist. He turned round and went ‘uh, hi’ and quickly sped off!